Are you interested to know more about some of the external job platforms with whom we collaborate, as well as EU initiatives making a difference in the research community ? Have a look at our collection of Useful Links ! The Marie Skłodowska-Curie Actions Awarding €6.16 billion in the next period to 2020, the Marie Skłodowska-Curie Actions (MSCA) support research training and career development focused on innovation skills. The programme funds worldwide and cross-sector mobility that implements excellent research in any field (a "bottom-up" approach). There are MSCA grants for all stages of a researcher's career, from PhD candidates to highly experienced researchers, which encourage transnational, intersectoral and interdisciplinary mobility. The MSCA will become the main EU programme for doctoral training, financing 25,000 PhDs. Endowing researchers with new skills and a wider range of competences, while offering them attractive working conditions, is a crucial aspect of the MSCA. In addition to fostering mobility between countries, the MSCA also seek to break the real and perceived barriers between academic and other sectors, especially business. Several MSCA initiatives promote the involvement of industry etc. in doctoral and post-doctoral research. EURODOC is the European Council of doctoral candidates and young researchers. It takes the form of a federation of national associations of Ph.D. candidates and young researchers. The EIROforum is a collaboration between seven European intergovernmental scientific research organisations that are responsible for infrastructures and laboratories. As world leaders within their respective fields of science, the seven member organisations of the EIROforum constitute the vanguard of European science, enabling European scientists to engage in truly cutting-edge research and be competitive on a global scale. These organisations have a vital role to play in the future of European research. Ploteus, the Portal on Learning Opportunities Throughout the EUropean Space, aims to support people who want to go and study in another European country, by helping them to find the relevant information about courses, structure of education and training systems, opportunities for grants, accommodation and social insurance etc. EURES - European Employment Services - is a cooperation network designed to facilitate the free movement of workers within the European Economic Area; Switzerland is also involved. Partners in the network include public employment services, trade union and employers' organisations. The network is coordinated by the European Commission. University Positions is an internet based job board which consists of several websites across Europe. It provides job seekers with a wide range of academic, scientific and higher education jobs within all disciplines in various locations. University Positions collaborates with the most read research magazines in Scandinavia and with some of the biggest medias around the world. Via University Positions employers can post their jobs towards the most relevant audience and job seekers will find the most suitable jobs to take them further in their academic careers. Naturejobs is the career resource of the leading weekly multidisciplinary science journal Nature. In print and free online we provide scientists with articles, tools and the top jobs. Each week the Naturejobs editors investigate the dynamic landscape of science with articles covering vocational issues from postdoc level onwards. Pharmajobs.com is an internet-based jobmarket covering the entire spectrum of Life Sciences as Pharma, Biotechnology, Medicine, Chemistry, Physics and Academia. You will find a lot of positions posted by international companies and HR-agencies. Established in 1996, Pharmajobs.com is one of the most popular and fastest growing, specialized job markets. 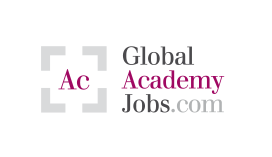 The Global Academy jobs board lists research and teaching position at universities worldwide; from Australia to Canada and South Africa to China.